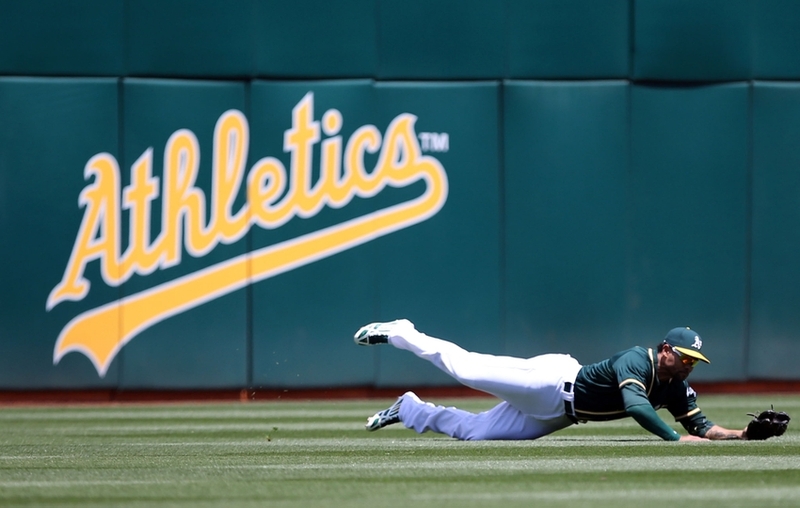 2015 Season: Coming off an impressive 2014 campaign, the 2015 Oakland Athletics took a major step back in 2015, going from an 88 win team to a 68 win team, falling all the way to the basement of the AL West. Mush of this was due to trading away eventual AL MVP Josh Donaldson before the season, a move that failed to pay off for the A’s and watched their run differential from 2014-2015 drop from a league high +157 runs to a dismal -36. Key Additions: Teams like Oakland who live the ‘Moneyball’ lifestyle are not ones to normally make big splashy moves in free agency, and this year was no different. Offensively, their biggest move was trading for Milwaukee OF Khris Davis who should slot into the everyday left field spot and should bat near the middle of their order. They also traded for second baseman Jed Lowrie, brought in Yonder Alonso to play first base and former NL ROY Chris Coghlan as a utility player. 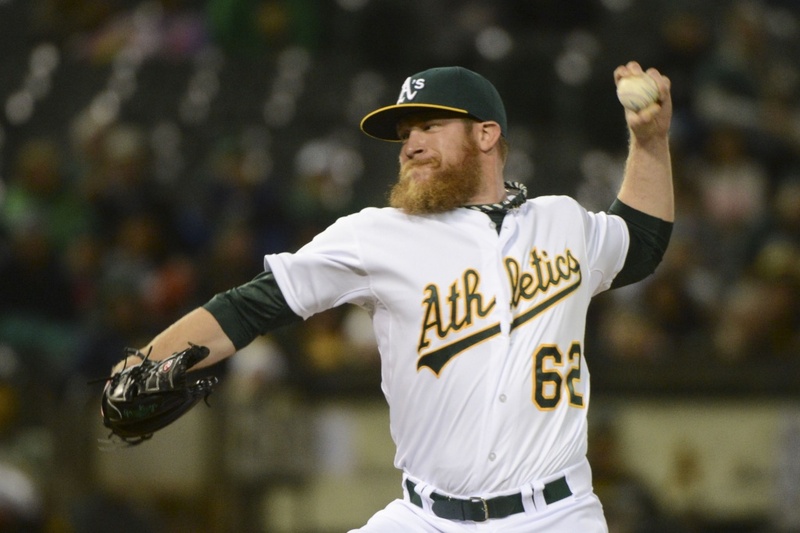 Pitching wise, they focused on rebuilding a bullpen that sported a dismal 4.63 ERA last year, good enough for 28th in the Majors, by adding Ryan Madson, Liam Hendricks, Marc Rzepczynski and John Axford to set up last year’s closer and former All-Star Sean Doolittle. Oakland also took a flyer on SP Henderson Alvarez who made just 4 starts last year due to injury, but pitched to a 2.56 ERA in 187 innings in 2014 to finish 12th in NL Cy Young Voting along with 35-year-old Rich Hill who finished the season strong last year with Boston. Key Losses: The A’s did not lose much talent from last year’s squad, with the three biggest losses being SP Jesse Chavez who was traded to Toronto, RP Drew Pomeranz who was traded to San Diego, and infielder Brett Lawrie who was traded to the White Sox for prospects. All-in-all none of these moves particularly were devastating losses for Oakland. Although lacking ‘star power’, this lineup has the potential to be sneaky good. Starting off with Billy Burns who ended up 5th in AL ROY voting last year, and followed by newly acquired Jed Lowrie, Oakland should have a nice 1-2 punch at the top of the lineup that gets on base. Meanwhile, Josh Reddick and Khris Davis will man the power spots in the lineup, the two of them combining for 47 HRs and 143 RBIs last season. They will look to improve on those numbers this year batting alongside each other. They should be followed by some combination of Vogt, Butler, and Valencia, all of whom project to be average to above average hitters, although each tend to get on base over a third of the time, a pretty good number for cheap 5-7 hitters. The A’s rotation starts and ends with one name, Sonny Gray. The unquestioned ace of the staff, and face of the franchise, Gray has been masterful ever since coming into the league in 2013, throwing to the tune of 33-20 with a 2.88 ERA and a 1.134 WHIP and ended up 3rd in AL Cy young voting last year. After Gray though are a whole lot of question marks. Jesse Hahn had a nice second year in the majors last year tossing a 3.35 ERA in 16 stars, but he has never thrown more than 100 innings in a season in the Majors and will be relied upon for nearly double the output from a season ago. Improving on his 2014 numbers over the course of a full season is a tall order for the 26 year old, but Oakland remains optimistic that he can live up to the billing. 36-year-old Rich Hill, an offseason addition for the Red Sox, slots in at the three spot after going 2-1 with a 1.55 ERA, 0.655 WHIP and 36 K’s in 29 innings last year in his first ML starts since 2009. A’s GM Billy Beane is hoping he has found the next Scot Kazmir, an aging veteran lefty who can turn back the clock to provide solid innings and production in the twilight of his career. Rounding out the rotation, Kendall Graveman, Chris Bassitt, Sean Nolin, Aaron Brooks, and Felix Doubront will all be competing for a spot with Graveman and Bassitt as the early leaders. Although watch out for Sean Nolin, who with a strong spring (and no more minor league options) could force his way into the rotation. Keep an eye out for Henderson Alvarez who will be out until at least May. He will likely take one of the rotation spots when healthy. After finishing 28th in bullpen ERA last year, Oakland has completely renovated the problem area, adding Rzepczynski, Axford, Hendricks, and Madson along with a hopefully healthy Doolitte. What was a real problem for the A’s may become one of their strengths this year as it looks like they may be building their team the same way the Royals and Yankees have in recent years, by pairing up questionable rotations with a deep, strong bullpen to shut down games. After only converting 28 of 53 save chances, solidifying the back end of the game will go a long way to getting Oakland out of the cellar. 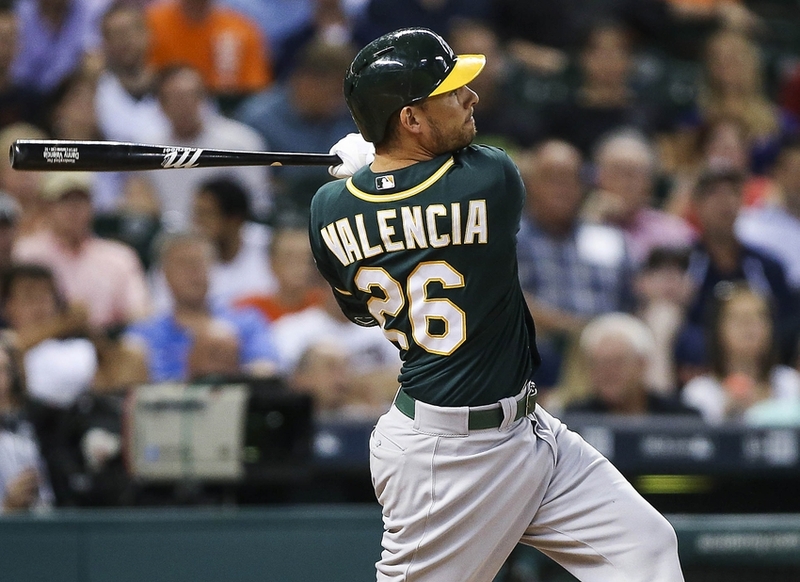 For the first time in his career, Valencia is the unquestioned starter at Third Base for the season and will look to supply huge dividends for it. In 105 games last year between Toronto and Oakland he hit .290 with 18 HRs and 66 RBIs with 11 HRs and 37 RBIs from the 47 games he played in the Bay Area. A potential #5 hitter in this lineup, the 31-year-old seems to be finally hitting his stride at the plate and will be expected to up his production this year. While his defense is still a work in progress, Valencia could be in store for a breakout season and could be a fringe All-Star if things go according to plan. HBT’s 2016 Season Prediction: This is an interesting team to predict in 2016. While they are clearly improved from last year’s 68 win team, they are also clearly not as good as their 88 win 2014 team either. While I can’t imagine this team being in the hunt for a Wild Card berth once September rolls around, a strong season from Sonny Gray, a sneaky good offense, and a bullpen that should close down way more games than last year could prove me wrong. But in the strong AL West and the question marks within their rotation after Gray, Oakland will end the season with 80 wins, falling just short of .500 for the year.